One of the things I love and really get excited about shooting high school senior sessions in the Pocatello, Fort Hall, Blackfoot and Idaho Falls area is the variety of the sessions. Every high school senior we booked is a complete individual and so are the sessions. Some kids have similar interests like music, drama or sports but each kid also has their own take on life and those interest. My BADASS session with Pocatello High School Senior Jaxon Chapman was awesome. Jaxon is a wrestler and wanted to do some shots that showed off the sport he loves. He had home and away singlets so we wanted to show off each one in a different way but at the same time make sure each one was badass. 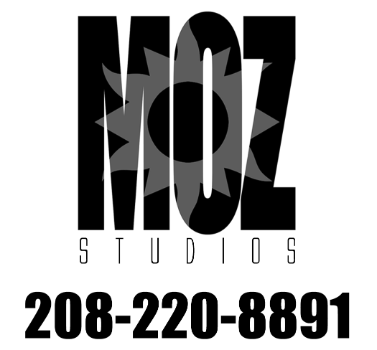 One of the things we do at Moz Studios is really do a lot of research on the locations we shoot to make sure we are getting our clients exactly the look and feel of the images they want. In order to try to do the best we can I always have the seniors send me pictures of their clothes so I have an idea of what I'm working with. We went to an industrial location and a natural rock wall location in Pocatello by the Ross Park area for the Jaxon's singlet shoots. For his shots in his shots in his warmups we went and found this old broken down building! As you can see we had a good time and shot some cool images I think really showed off Jaxon and who he is! If you would like to see more of our BADASS images or you would like more information on booking your spring senior click on the links below!